Nevada City, CA, and San Diego, CA, April 6, 2018 – Vigor Systems, Inc ®, a leader in TV content distribution and media solutions, and Telestream®, a leading provider of video transcoding and workflow automation solutions, have partnered to deliver a technology solution that will enable the Public Television community to transition file delivery and media processing to the cloud. Ultimately, this will allow the public television system to migrate from satellite file delivery to a next-generation terrestrial broadband-based file delivery platform. This progressive move symbolizes public television’s commitment to grow with the media landscape and to capture all the efficiencies and cost-savings made possible by the latest advances in proven technology. Vigor was selected by the public television system to design, implement and manage the infrastructure that enables the delivery of content to public television stations. This solution is based on Vigor’s PitchBlue technology, a successful cloud-based content distribution, management, monitoring, and storage solution already widely used at 1700 broadcast stations. PitchBlue is the largest TV content distribution platform in the U.S., distributing billions of dollars’ worth of content via the cloud from partners such as CBS, NBC Universal, Warner Brothers, Sony, 20th Television FOX and PMI. In addition to leading content distributors, the public television system joins Vigor’s thriving customer base of ad insertion and media industry partners, all focused on defining industry trends and best practices. As part of the initial phase of this new system, Vigor has chosen Telestream as their transcoding partner to optimize delivery of media files in station workflows. 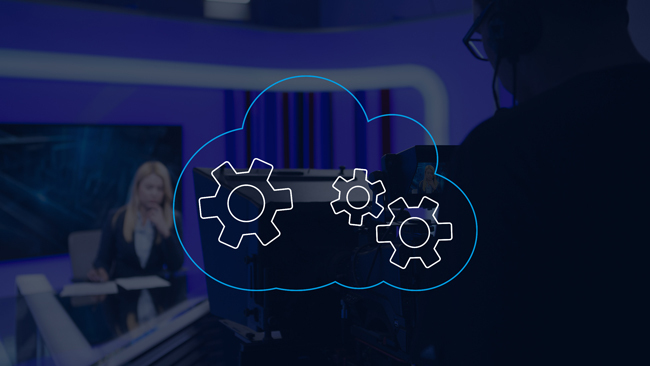 The implementation of the Telestream Cloud Workflow solution, an advanced media processing and workflow automation powered by Vantage media processing technology, will allow stations to intelligently conform media in the cloud for station playout broadcast. Telestream Cloud Workflow is a fully managed SaaS solution designed to perform automated content preparation such as standards conversion, time adjustments, and captioning in addition to high-quality transcoding. Workflow utilizes Vantage technology components to bring transcoding, metadata processing, analysis and quality control into a single, unified system with intelligent workflow automation. Through seamless API integration to the PitchBlue platform, Telestream will transcode predefined station media profiles upon ingest into the Vigor cloud library or upon download request from stations. The joint integration is currently being tested at pilot locations and will officially be rolled out to all public television stations by early Fall 2018.